MSV: Labor Day Holiday censorship special! Labor Day Holiday censorship special! 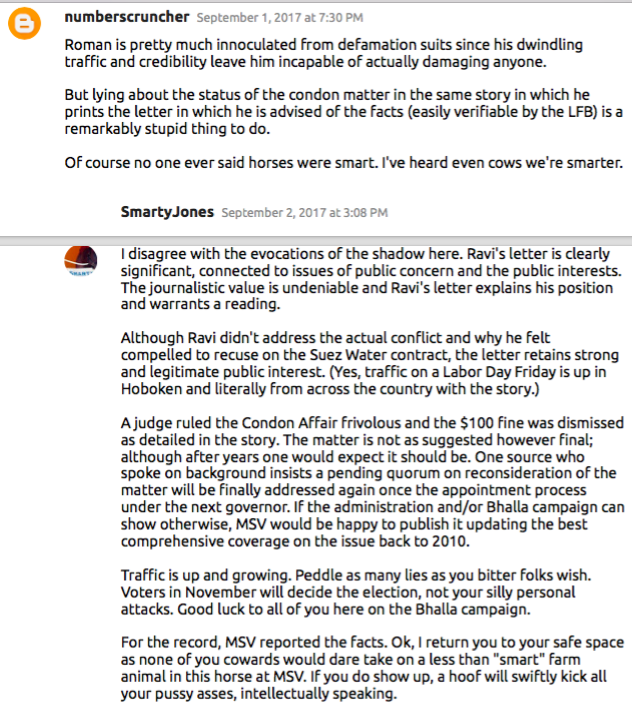 MSV's exclusive story Friday leading into the holiday weekend publishing Councilman Ravi Bhalla's email letter set off alarm bells within the Bhalla campaign at Sybil's Cave. Having not ventured there in recent weeks with its hyperventilating and heavy panting on behalf of its candidate, word filtered back it went completely bonkers with a bevy of unsubstantiated personal attacks. 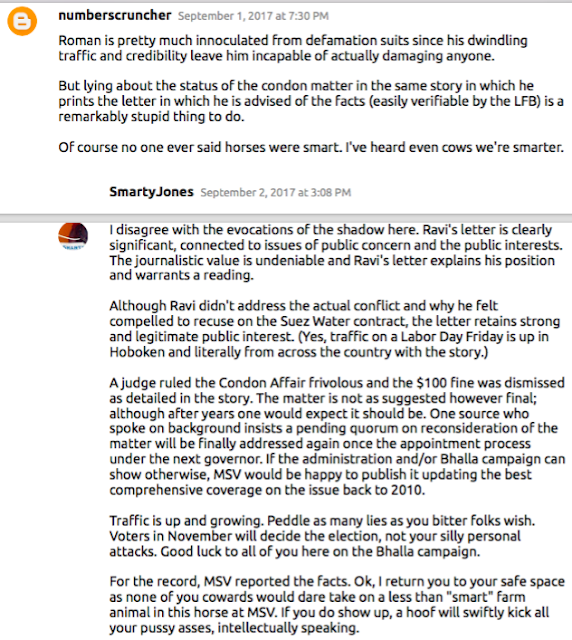 Lots of dumb accusations and a pathetic inability to argue where the MSV story is anywhere inaccurate. A Horse galloped in to shed light and a semblance of logic in reply to one shadowy "numberscruncher:"
The comment did not linger long as the swift hand of Sybil Cave censorship descended once again. Which goes to show you two things; don't take on the shadow in a designated safe space among his Bhalla campaign brethren and tread lightly telling the truth least you become the chum in a safe space of Bhalla piranha. Be careful out there people and have a great Labor Day weekend. MSV stands by its exclusive Friday story.